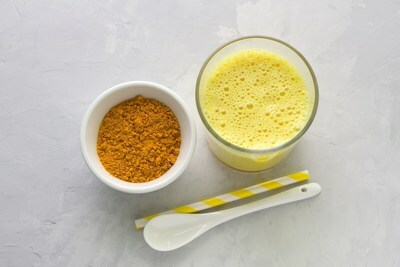 BARCELONA, Spain, April 15, 2019 /PRNewswire/ -- Lipofoods SLU, introduces Curcushine™ microcapsules, a highly bioavailable microencapsulated curcumin for the beauty-from-within market. This innovative formulation is natural and vegan, with high solubility when dissolved in water. It has a neutral taste and can be readily incorporated into nutricosmetics and beauty drinks. The company will launch the product at Vitafoods Europe in Geneva on May 7-9, 2018, booth #K180. "Sphera's proprietary technology is key to fulfilling the increased demand for better-for-you products in new delivery systems," says Gianni Zoccatelli, CEO of Sphera. "We are excited to partner with Lipofoods, a company committed to the development of innovative botanical solutions." "Partnering with Sphera is a strategic move that opens new opportunities for Lipofoods to launch advanced botanical formulations that have a cutting-edge advantage," declares David Padro, Business Manager of Lipofoods. "Lipofoods is engaged in ongoing research into the anti-aging benefits and other health condition benefits of Curcushine microencapsulated curcumin, seeking out new markets and different food applications." Curcumin has been shown to delay skin aging by protecting skin's structures and proteins — including collagen and elastin — from oxidative and inflammatory damage. The antioxidant properties of curcumin can reduce ROS in cells and eliminate the effects of advanced glycation species (AGEs) on the divergent regulation of gene expression of receptors. "Curcushine microcapsules provides anti-aging benefits and is suitable for multiple nutraceutical applications," explains Isabel Gomez, Marketing Manager of Lipofoods. "We plan to showcase beauty gummies containing Curcushine microcapsules in our booth at Vitafoods and we will also perform live demos to demonstrate the product´s high solubility." Lipofoods, a Lubrizol Company, specializes in the development and production of microencapsulated functional ingredients, providing nutritional and technical solutions for the food, beverage, and dietary supplement industries. Recently, the company developed a new botanical ingredient that can be used in a wide range of applications.